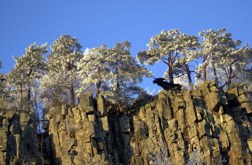 The mountains of Halle- and Hunneberg rest primarily on rocks made of gneiss. The rock which is about 1,500 million years old has gradually been rubbed down to an almost flat surface. 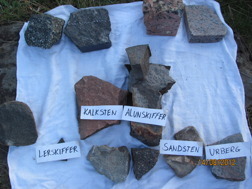 This flat surface is also called the sub-Cambrian peneplain and can be seen at the beach in Nordkroken, in Vargön and at Slättbergen, Trollhättan. About 600 million years ago the rock was under the sea and our continent was located in the southern hemisphere, in a cold and windy ocean with relatively few living beings. The sand that was rubbed off the rocks turned into thick layers at the bottom of the sea and formed the sandstone that can be seen in Byklev, next to the road where the start of a "geology trail" is also located. The thickness of the layer of sandstone is on average 25 meters. The next layer is alum shale which, in likeness with sandstone, is a sedimentary rock. It was formed at the bottom of the sea about 450 million years ago when the continent was located at the equator. The sea was calmer, warmer and richer on life in those days. 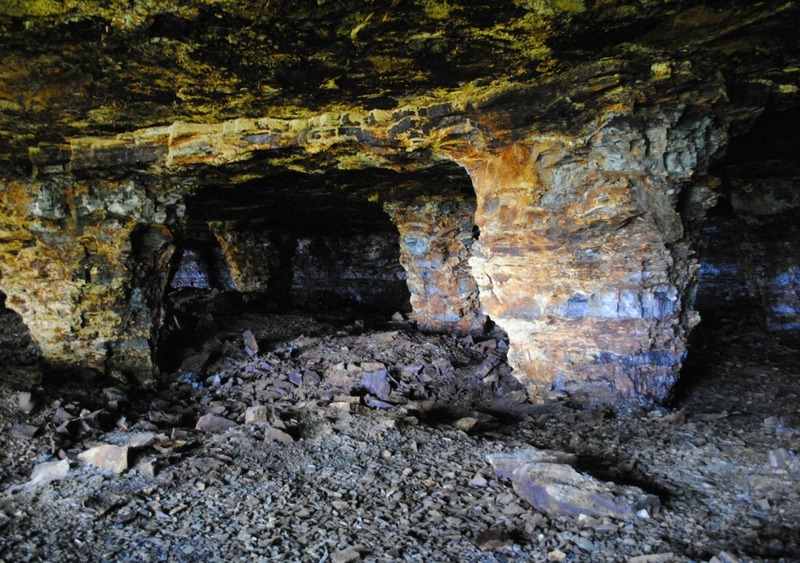 The organic material that fell to the bottom of the sea and was embedded in mud was, due to oxygen deprivation, formed into fossil oil and gave the mountains their black color. Here and there, shells from the animals at the bottom of the sea have formed a kind of limestone, orsten. 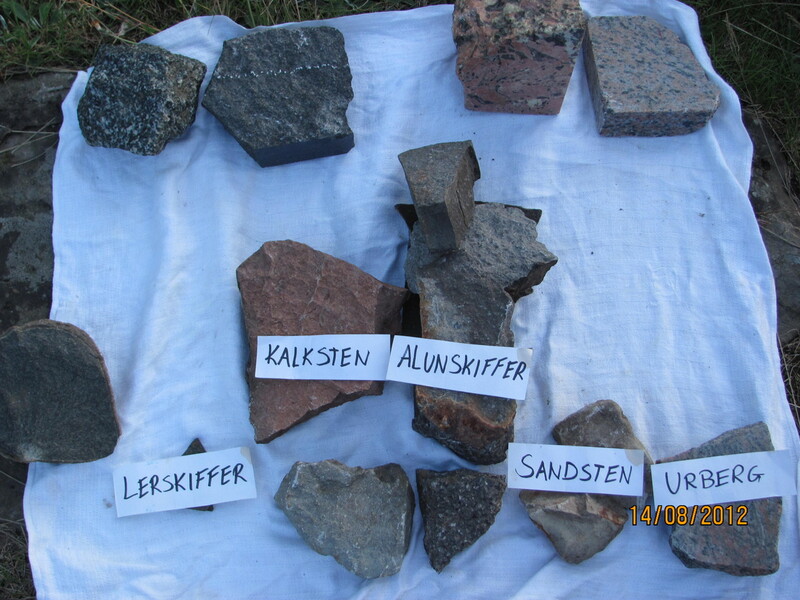 Alun shale is rich in uranium and is in different parts of Västergötland of great interest for the nuclear power industry. The thickness of the layer of alun shale is on average 25 meters. 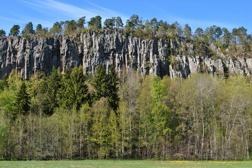 The top diabase layer ofHalle-and Hunneberg has an average thickness of60 meters. It is a diabase that is hard and wet and does not decompose easily, contrary to the diabase that can be found in the southern part of Sweden. Diabase is made of magma which used to penetrate the rock. This happened 275 million years ago. Due to its hardness, it protects the underlying layers of sandstone and alum shale, which are more easily prone to decomposition. 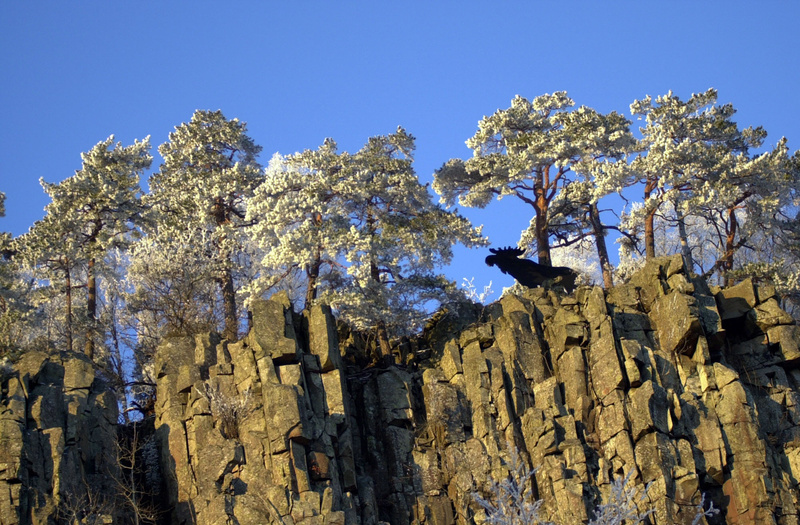 Hunneberg is part of a network of global reference profiles, for the classification of geological layers in which the bottom layer Ordovicium, is marked with a golden nail at the eastern corner of the mountain. The "lead" fossil is the graptolite Tetragraptus approximatus. 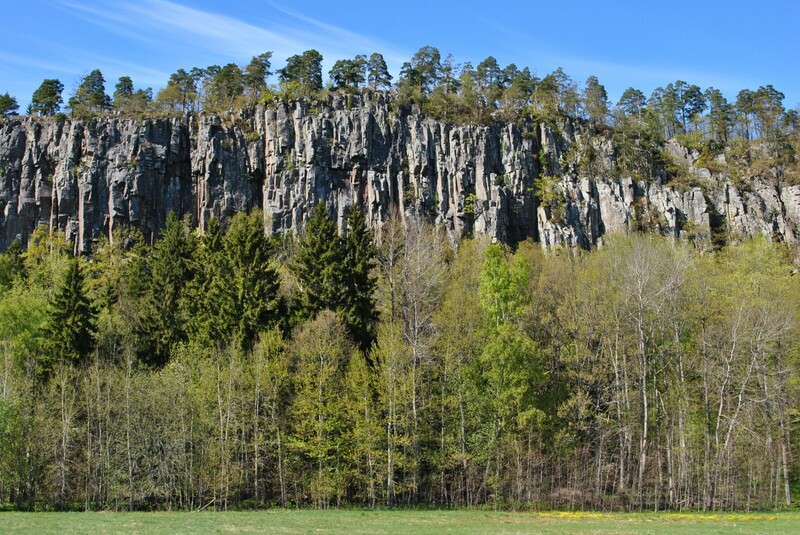 The layers that can be found on Hunneberg are thus a standard reference for the classification of all other sections of the world with similar kinds of rocks.